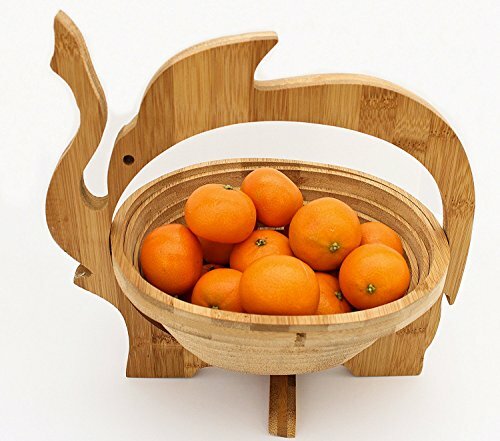 Wow guests with this unique elephant shaped fruit basket made of all-natural and eco-friendly bamboo wood. 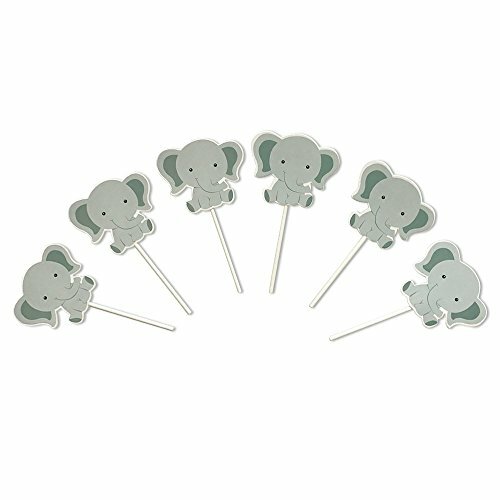 Its built in stand and wooden handle, make it convenient to place on your table and counter-top or to bring on picnics. The bowl is collapsible for easy storage when your basket is not being used. 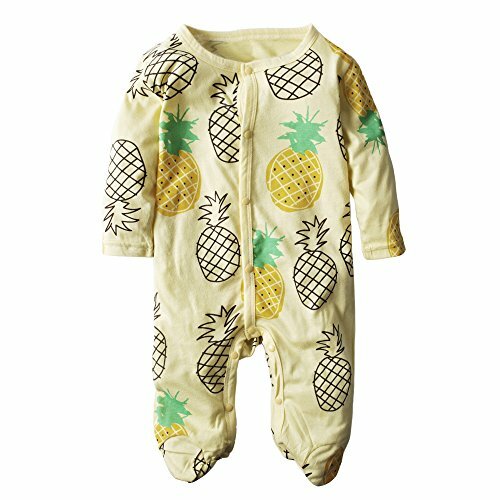 Perfect for storing fruits, vegetables, bread or snacks. Could even be used for other storage such as cords, headphone, electronics, bathroom towels, magazines, or potpourri, the possibilities are endless. 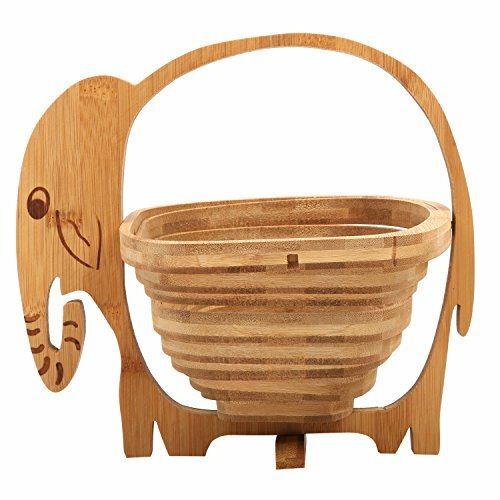 Anywhere you place this or whatever you store in it, this wooden elephant basket is sure to standout. **Official MyGift® product. 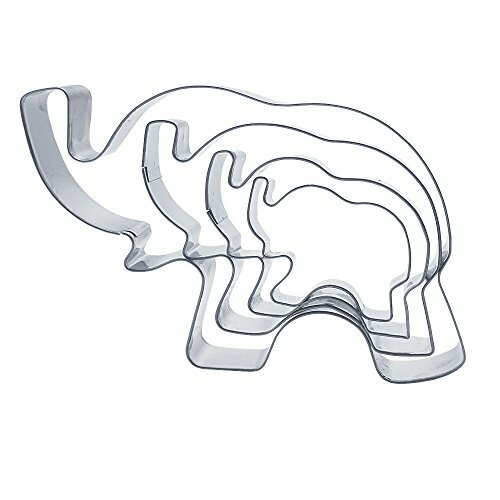 **Approximate Dimensions (in inches): 10.5 H X 11.0 W X 0.75 D.
4 Counting Elephant Cookie Cutter Shapes Set Stainless Steel Elephant Shaped Cookie Molds by GOCROWN SPECIFICATION: Shape: elephant Color: silvery Material: stainless steel Type: baking molds Size: diameter approx. 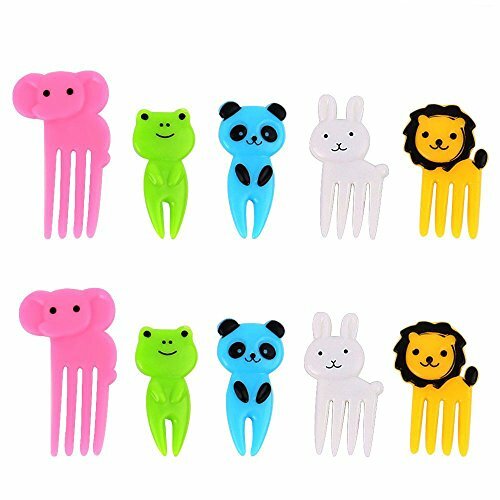 1.9", 2.5", 3.5", 4.8", height are all 0.78 inches (2 cm) PACKAGE CONTENTS: 4 x Elephant Cookie Cutter PRODUCT DESCRIPTION: Package include 4 different sizes of elephant stainless steel cookie cutters. The outer compact and lovely, adults and children like, let you fall in love with the kitchen. Each design is elegant and chic, noble quality, just hold it in detail for the hand touch, only to find much more than aesthetically pleasing. Made of high quality stainless steel, after the process of multi-process to achieve the best hardness, durable. After processing and grinding, smooth surface, smooth edges and smooth hand, use more comfortable. CARE INSTRUCTIONS: Hand wash when cleaning, and then dry, can not use the dishwasher. After turning off your oven, place washed cookie cutters on a clean cookie sheet. Let the remaining warmth of the oven dry your cookie cutters. 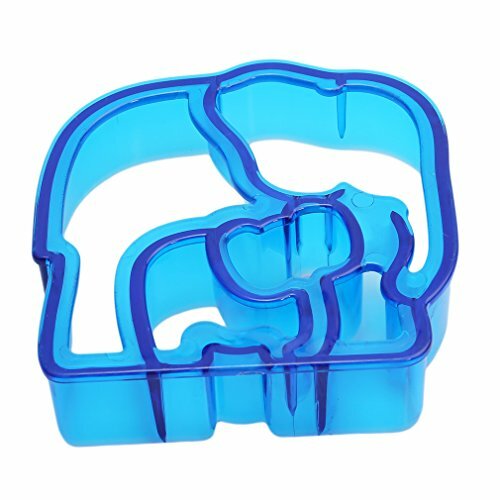 WARM NOTICE: The cookie cutter is suitable for kids of 3 years old and above, metal cookie mold is a bit sharp, children should use it under adult's supervision. 1、Why settle for ordinary fruit baskets or kitchen decor? This expandable basket looks amazing both expanded or collapsed； A unique yet practical addition to any kitchen； Made from renewable bamboo； Ideal to display fruit, breads, potpourri and more； Eye-catching conversation piece；Makes a great holidays or housewarming gift. 2、To set up the fruit bowl, simply rotate the middle portion 90 degrees and press the middle down until the hole in the middle locks into the peg on the bottom of the outside ring. 3、With the quick fold-out design you can set up your bowl quickly and without hassle. 4、Built to hold a wide variety of fresh fruits and vegetables so you can store all your favorites worry free. 5、Smartly built and designed, the collapsible apple basket is perfect for easy storage thanks to its tiny 10x11.75x0.75 inch size when not in use. 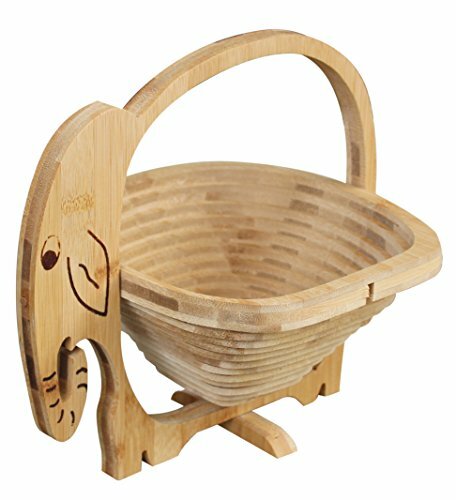 Royal Brands is proud to offer this unique all natural bamboo collapsible elephant shaped fruit bowl with convenient carrying handle. Store and display your favorite fresh vegetables, fruits and even bread. 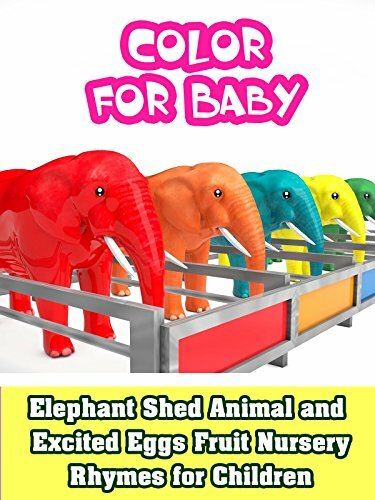 Makes a quality looking centerpiece on your dining room table, kitchen counter or office space. Storage is simple and quick with the collapsible design allowing for a fold flat design. 10 x 1 x 9 inches.